We’re so confident you’ll love the sense of safety our Pioneer medical alert system provides, we offer a risk-free 30-day guarantee. 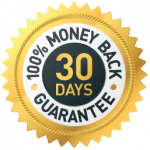 If you are not 100% delighted with our system, simply return it within 30 days for a full refund. Before we ship your medical alarm, we will call you to personalize your response settings including a short medical history and the names and phone numbers of family, friends, and neighbors. If you prefer, you may call us at your convenience: 1-800-824-8844. When you receive your medical alarm, it will include easy-to-follow instructions on how to plug the unit into power. Please review and sign the enclosed agreement, and return it to us in the prepaid envelope. The initial term of the agreement is three months, and then monthly after that. You can cancel anytime after the initial 3 month term. We provide the equipment free of charge, and simply ask that you return it to us when you no longer need it. 1. MONITORING SERVICE. We shall connect the System to our monitoring facility (the “Center”). When an emergency signal from the System is received in the Center, it will try to telephone the emergency response authority and the first person available set forth in your call information. To avoid false alarms, the Center may use the two-way audio feature of the System or first call your premise to determine if an actual emergency exists before we call any authorities or persons on your call list, or dispatch emergency response personnel. If we have reason to believe that no actual emergency exists, we may choose not to place such call or notify emergency response personnel. A Global Positioning System is referred to as “GPS”. GPS Services are provided soley within the United States and consists of a communications Service that enables you to transmit your GPS coordinates to the Center using a cellular network, and permits the notification of emergency personnel of your need for help and your location anywhere our cellular service coverage is provided. When the Center receives an emergency signal from the GPS device, it will try to contact you to as certain the nature of your emergency. If, in the reasonable judgement of the Center an emergency situation exists, the Center will attempt telephone the emergency response authority in the geographic area identified by the GPS and the first person available in your call information. Telephone conversations with the Center may be recorded. CLIENT AGREES THAT THE CENTER IS RESPONSIBLE ONLY FOR ENDEAVORING TO NOTIFY BY THE PHONE THE APPROPRIATE EMERGENCY AGENCY OR OTHER PERSONS NAMED IN THE CLIENT EMERGENCY FORM. YOU UNDERSTANDS THAT THE CENTER WILL NOT SEND ANY CENTER PERSONNEL TO CLIENT’S PREMISES IN RESPONSE TO ANY EMERGENCY SIGNAL. You agree that you and others using the System, will use it carefully so as to avoid causing false alarms. If a false alarm fine or penalty or a response fee is charged to us, or you by any governmental agency, you will pay for the charge. You acknowledge that fall detectors are not completely accurate and depending on the circumstances may not detect a fall, We recommend you wear your PERS pendant at all times, so you may send a signal to us. 2. TRANSMISSION LINES. The System includes a communicator that sends signals to the Center over your regular telephone service, or dedicated cellular service. The System will not work on standard cellular telephone service. For a regular telephone service connection, you will pay for all telephone charges including any installation fee for a special jack to connect the alarm system to your telephone service and PERS recommends the use of an RJ31X or equivalent telephone jack to give the System priority over the telephones in your premises, however, when the System is activated, you will be unable to use your telephone to make other calls (such as calls to 911 emergency operator), and therefore, you may wish to have the System connected to a second telephone line. If your telephone is out of order, placed on vacation status or otherwise not working, signals cannot be transmitted and the Center and PERS will not know of the telephone service problem. You acknowledge that the use of a cellular system may be controlled by local state agencies and the Federal Communications Commission and changes in rules, regulations and policies may necessitate PER’s discontinuing such transmission facilities at PERS’s option, in which event PERS will substitute another service. Cellular transmissions may be impaired by atmospheric conditions, including signal traffic volume, electrical storms, power failures or other conditions and events beyond PERS’s control. You acknowledge and agree that all software, firmware, computer codes and transmission facilities are PERS’s sole and exclusive property and are not part of the System. You further acknowledge that the signals are transmitted over communications facilities provided by independent carriers or providers, which are wholly beyond PERS’s control and is maintained and serviced, solely by the applicable carrier or provider. You agree to reimburse us for any costs we may incur to reprogram the communicator because of area code changes or other dialing pattern changes. You further understand and agree that transmission facilities currently available and used may not be available in the future (e.g. the discontinuance of common landline telephone service or 3G or GSM cellular), and in such event you agree that in order to provide monitoring service, we may be required to replace or modify your existing transmission facilities. In such event, you agree to pay our standard rates and charges for the installation and use of such facilities. For cellular service, you agree that if an event or events generate signals in excess of the cellular service plan limit included in the Services Fee, you agree to pay for any excess cellular service charges at the rate then in effect. If telephone service is used, the use of DSL or other broadband telephone service may prevent the System from transmitting alarm signals to the monitoring facility and/or interfere with the telephone line-seizure feature of the System. Such services should be installed on a telephone number that is not used for alarm signal transmission. You agree to notify us if you have installed or intend to install DSL, or other broadband service. IMMEDIATELY AFTER THE INSTALLATION OF DSL OR OTHER BROADBAND SERVICE YOU MUST TEST THE SYSTEM’S SIGNAL TRANSMISSION WITH THE MONITORING FACILITY. 3. CHANGE OF PREMISES. You may move the System to another address and we will continue to provide monitoring services for you pursuant to this agreement. You must call our customer support center to arrange for the move, not less than 7 days prior to moving the System. 4. CLIENT’S DUTIES; PERMITS. You will install, set-up and initially test the System in accordance with our written instruction. You will instruct all other persons who may use the System on its proper use. You will test the System and send test signals to the Center on a monthly basis. If the Center does not respond to the test signal, you should call PERS and confirm the status of the test. You will obtain and keep in effect all permits or licenses that may be required for the installation and operation of the System. You will notify us in writing of any changes in the persons or telephone numbers on your emergency call list. You agree that we may disclose your information to any governmental agency having jurisdiction over the use and operation of the System. The city or county in which your business or home is located may require that you obtain a permit for the use and monitoring of the System. Local authorities may not respond to alarm notifications until all permits or licenses for use of the System have been obtained, and therefore PERS may not begin monitoring until Client has obtained at Client’s expenses all necessary permits or licenses, and provided PERS with the license or permit number. You agree to pay all sales, service, property, use and local taxes; any ambulance or paramedic charges or fees; and any permit fees, telephone charges, return check charges, or late charges, if applicable, whether imposed on you or us. We shall have the right, at any time, to increase the services fee to reflect any additional or increased taxes, licenses, permits, fees or charges which may be charged to us by any utility or governmental agency or private response agency relating to the monitoring service and you agree to pay the same. 5. SYSTEM REPLACEMENT. During the term of this agreement and so long as you are current in all payments due to PERS, if the System or a component of the System (e.g., a pendant) stops functioning properly we will replace the System or component without additional charge to you so long as you return the non-operating System or component to us. Call our customer support center to arrange for a System or part replacement. 6. TERMINATION, DEFAULT, REMOVAL OF SYSTEM. You acknowledge and agree that this agreement is a service agreement only and during the term of this agreement the entire System including monitoring codes and software shall at all times remain the sole property of PERS. You will not damage, encumber or dispose of the System or permit the System to be damaged, encumbered, taken from the premises, tampered with or repaired by any but our service personnel. In the event of loss or damage to the System (other than repairs or replacement covered by Section 5) or any part thereof, you agree to pay us the System’s reasonable replacement value or the cost of repair as the case may be. In the event this agreement is terminated before the end of the original term for any reason, or is canceled as a result of your default and you fail to return the System in good working condition, you agree that we may charge your check debit account or bill you for the value of the System which is $ 500.00. In addition, If you fail to make any payment when due we may discontinue monitoring and terminate this agreement. If service is suspended because you have failed to pay the monitoring fees set forth herein, and you ask us to reactivate the System, you will pay, in advance, our then prevailing reconnection fee. You authorize us to investigate your credit record, and to report your payment performance under this agreement to credit agencies and credit reporting services. 7. SUSPENSION OR CANCELLATION OF THIS AGREEMENT. You understand that we may stop or suspend monitoring service for any of the following reasons. (a) Strikes, severe weather, earthquakes or other such events beyond our control affect the operation of our Center or so severely damage your premises that continuing service would be impractical. (b) There is an interruption or unavailability of the telephone service between the System and our Center. (c) You do not pay the service charge due to us, after we have given you five (5) days’ notice that we are canceling service because of non-payment. (d) We are unable to provide service because of some action or ruling by any governmental authority. (e) You become a debtor in a bankruptcy proceeding. 8. ASSIGNEES AND SUBCONTRACTORS. We may transfer or assign this agreement to a financial institution or any other alarm company. You may not transfer this agreement to someone else (including someone who purchases or rents your premises) unless we approve the transfer in writing. We may use subcontractors (including any independent monitoring center or any cellular service provider) to provide monitoring services, and this agreement, and particularly Sections 9 and 10, shall apply to them and the work they perform and protect them in the same manner as it is applies to and protects us. 9. PERS IS NOT AN INSURER; LIMITATION OF LIABILITY. You understand that: (a) we are not an insurer of your premises, property or the personal safety of persons in your premises; (b) you are solely responsible for providing any life, health or disability insurance for yourself and persons who use the System, and insurance on your premises and its contents; (c) the amount you pay to us is based only on the value of the service we provide and not on the value of your premises or its contents; (d) emergency notification systems and monitoring service may not always operate properly for various reasons; (e) it is difficult to determine in advance the value of the property that might be lost, stolen or destroyed if the System or our service fails to operate properly; (f) it is difficult to determine in advance how fast the police or fire department or others emergency personnel would respond to a notification of an emergency signal; (g) it is difficult to determine in advance what portion, if any, of any property loss, personal injury or death would be proximately caused by our failure to perform, our negligence, or a failure of the System or service. Therefore, you agree that even if a court decides that PERS’s breach of this agreement, a failure of the System, or PERS’s negligence, or a failure of the monitoring service caused or allowed any harm or damage (whether property damage, personal injury or death) to you or anyone in your premises, you agree that our liability shall be limited to $2000, and this shall be your only remedy regardless of what legal theory (including without limitation, negligence, breach of contract, breach of warranty or product liability) is used to determine that we were liable for the injury or loss. If you wish, you may obtain from us a higher limitation of liability for an additional periodic charge. If you elect this option, we will attach a rider to this agreement which will set forth the amount of the limitation of liability and the amount of the additional charge. Agreeing to the limitation of liability does not mean that we are an insurer. If you are interested in this option, please call our customer support center at the telephone number shown on our Website. 10. THIRD PARTY INDEMNIFICATION AND SUBROGATION. If anyone other than you, asks us to pay for any harm or damages (including property damage, personal injury or death) connected with or resulting from (i) PERS’s breach of this agreement or a failure of the System or services, (ii) our negligence, (iii) any other improper or careless activity of ours in providing the System or services or (iv) a claim for indemnification or contribution, you will pay us (a) any amount which a court orders us to pay or which we reasonably agree to pay, and (b) the amount of our reasonable attorneys’ fees and any other losses or costs that we may pay in connection with the harm or damages. Unless prohibited by your property insurance policy, you agree to release us from any claims of any parties suing through your authority or in your name, such as your insurance company, and you agree to defend us against any such claim. You will notify your insurance company of this release. 11. LIMITATION ON LAWSUITS; REFERENCE. Both PERS and Client agree that no law suit or any other legal proceeding connected with this agreement shall be brought or filed more than one (1) year after the incident giving rise to the claim occurred. Any controversy, dispute, or claim between the parties arising out of or relating to this agreement, (other than actions brought by Company in small claims court to collect amounts due under this agreement) will be settled by a reference proceeding in San Diego California, in accordance with the provisions of Section 638, et seq. of the California Code of Civil Procedure, or their successor section, which shall constitute the exclusive remedy for the resolution of any controversy, dispute, or claim concerning this agreement, including whether such controversy, dispute, or claim is subject to the reference proceeding. The referee shall be appointed to sit as a temporary Judge with all of the powers of a temporary Judge authorized by law. In the event that the enabling Legislation, which provides for the appointment of a referee is repealed and no successor statute is enacted, any dispute between the parties that would otherwise be determined by a reference procedure herein, will be resolved and determined by binding arbitration. That arbitration will be conducted by a retired Judge of the Superior Court in accordance with Section 1280 to 1294.2 of the California Code of Civil Procedure, as amended from time to time. 12. ENTIRE AGREEMENT. The entire and only agreement between you and PERS is written in this agreement. It replaces any earlier oral or written understandings or agreements. It may only be changed by a written agreement signed by you and accepted by us. If any provision of this agreement is found to be invalid or illegal by a court, the balance of the agreement shall remain in force. You agree that this agreement shall be governed by the laws of California. The interpretation of this agreement shall not be construed against the preparer of this agreement.